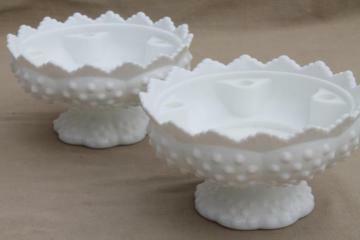 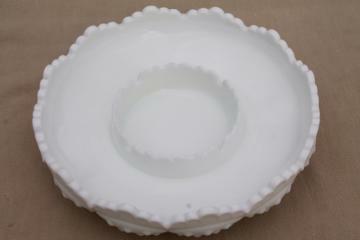 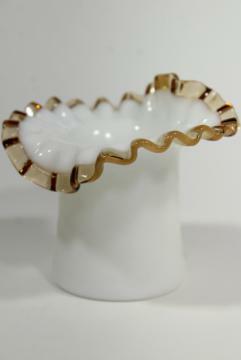 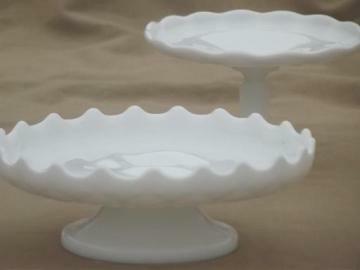 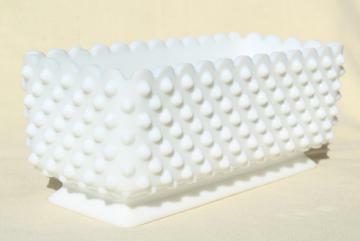 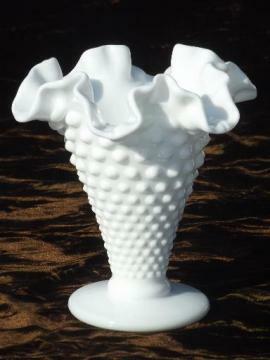 vintage Fenton hobnail milk glass centerpiece candle bowl / ashtray, chip & dip? 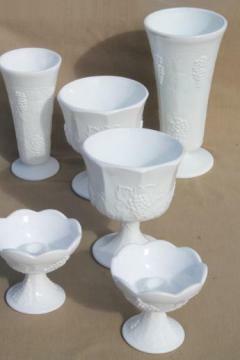 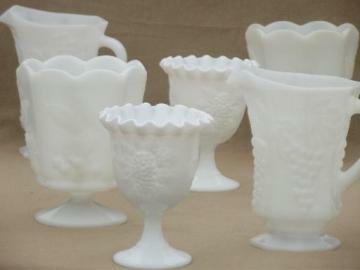 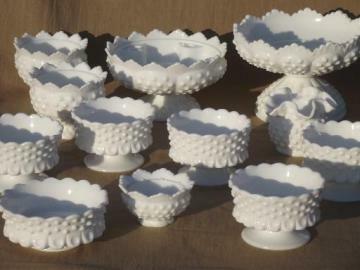 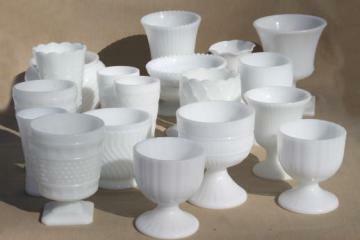 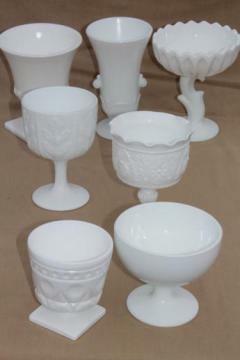 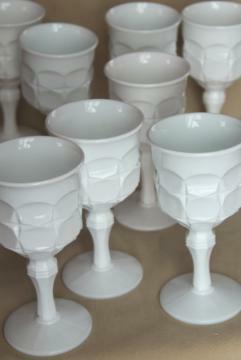 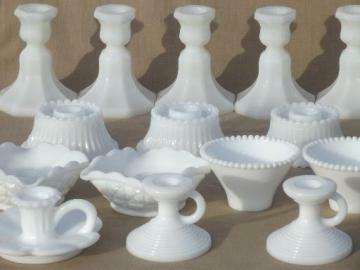 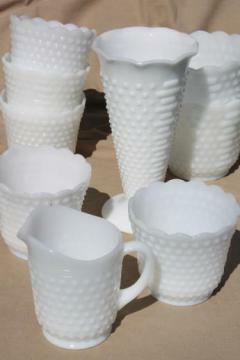 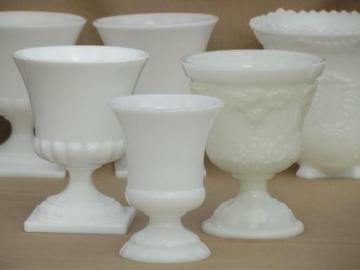 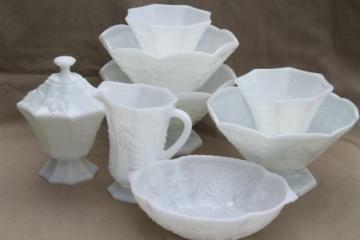 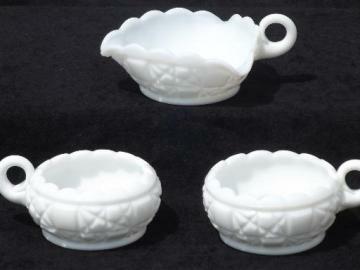 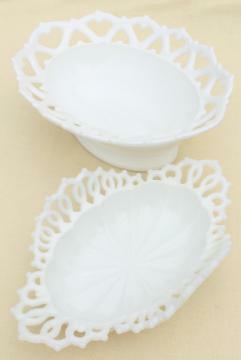 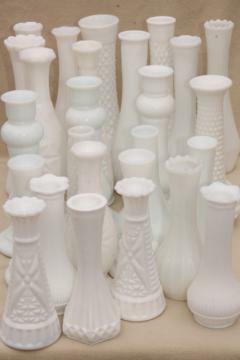 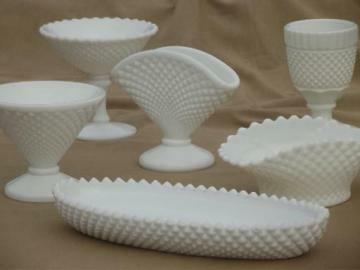 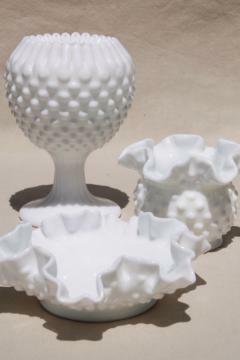 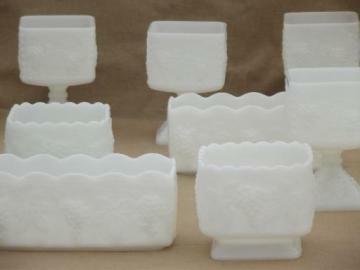 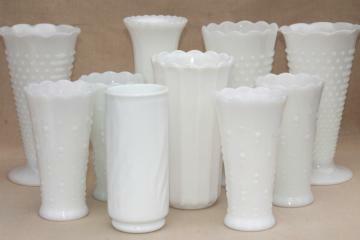 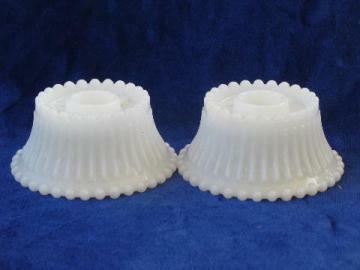 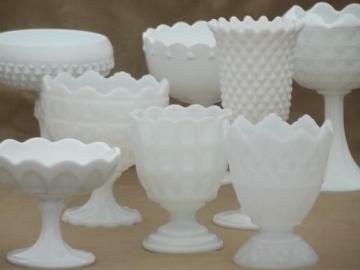 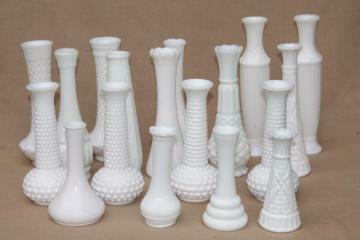 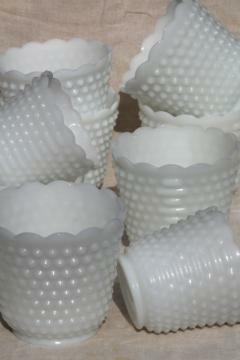 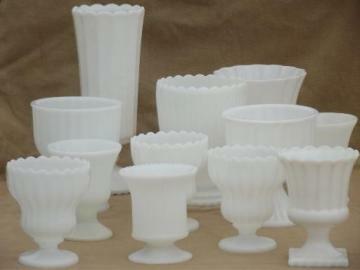 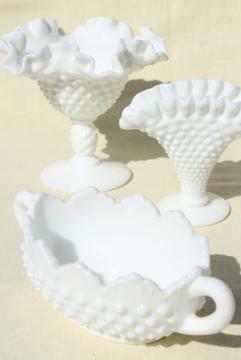 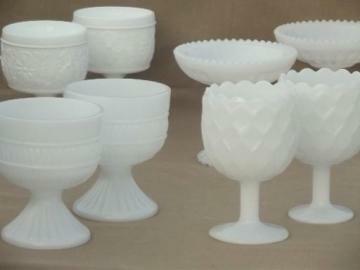 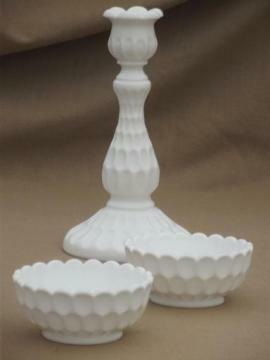 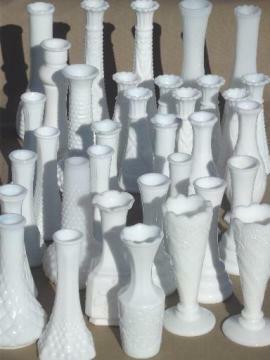 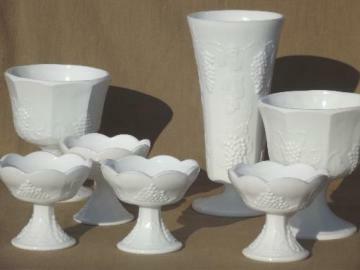 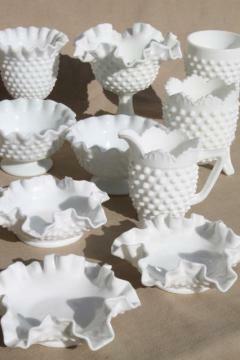 vintage milk glass lot Westmoreland English hobnail pattern tray, vases etc. 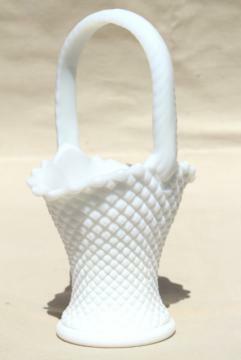 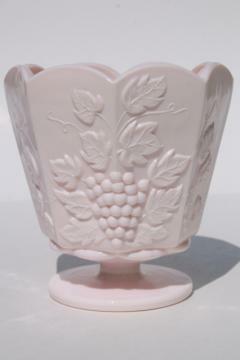 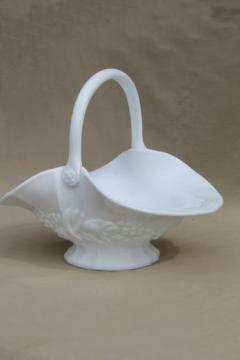 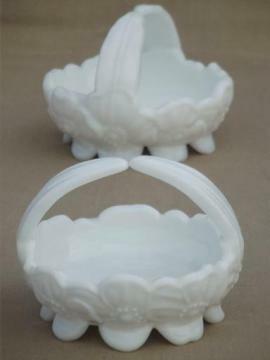 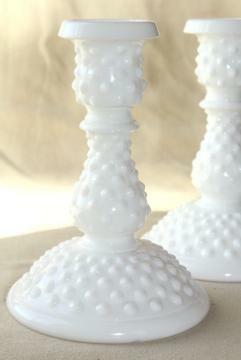 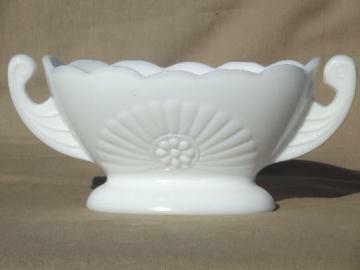 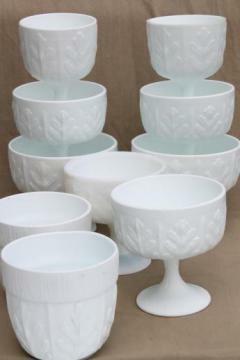 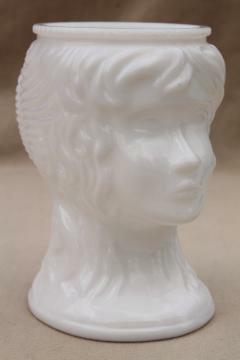 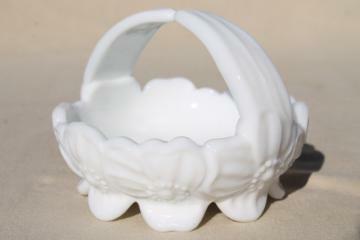 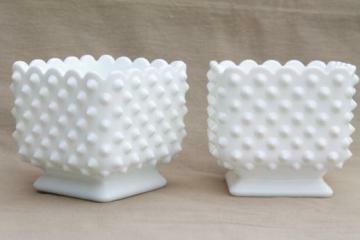 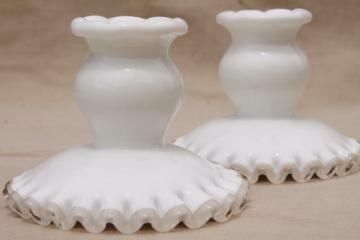 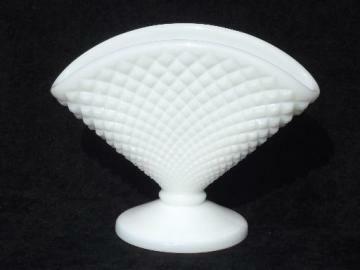 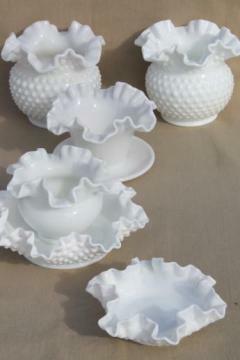 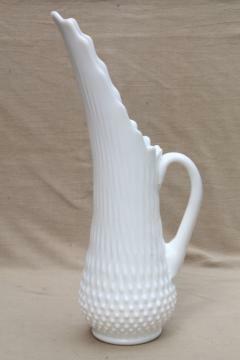 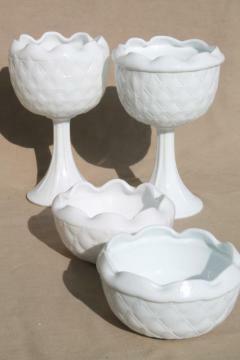 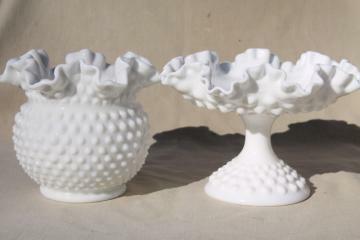 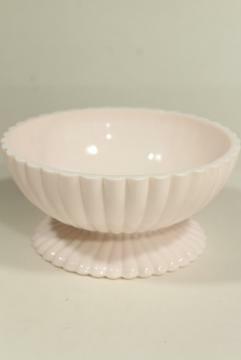 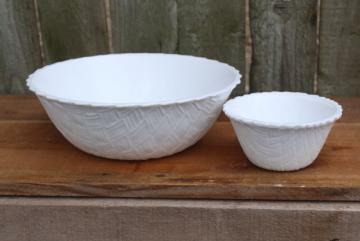 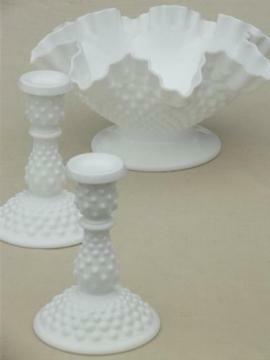 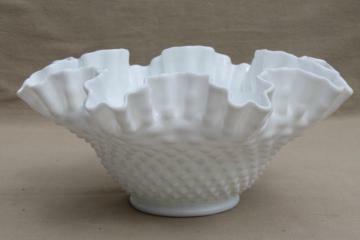 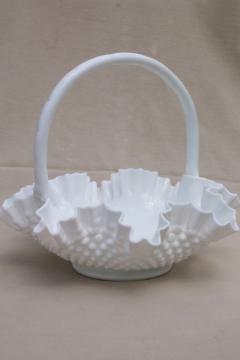 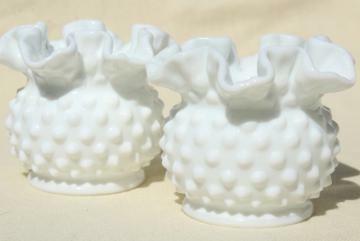 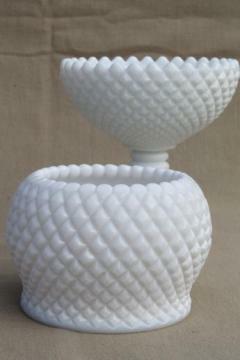 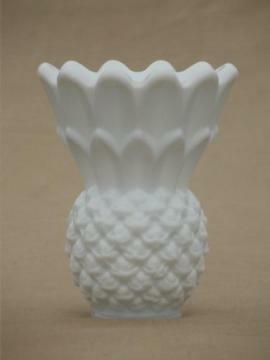 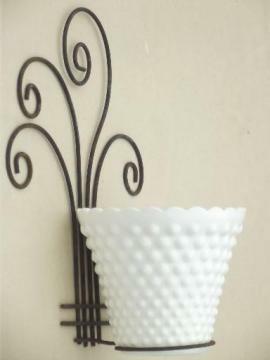 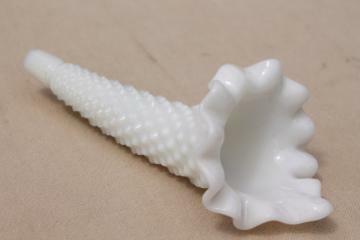 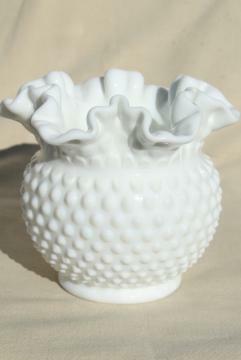 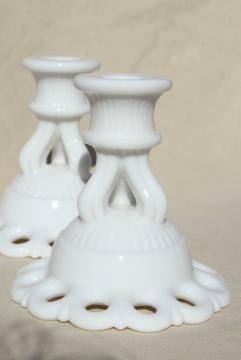 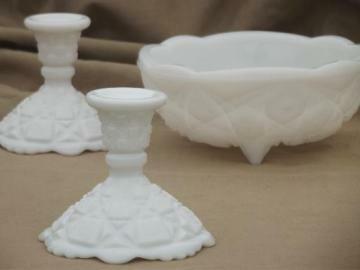 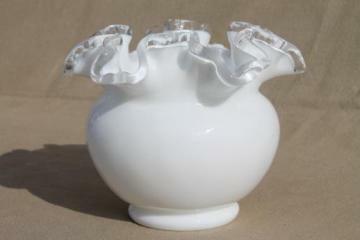 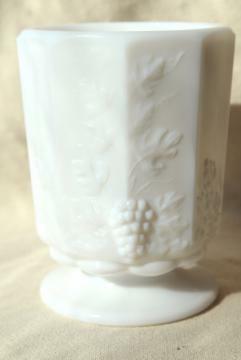 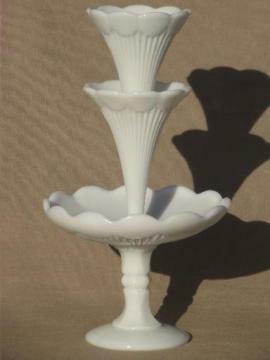 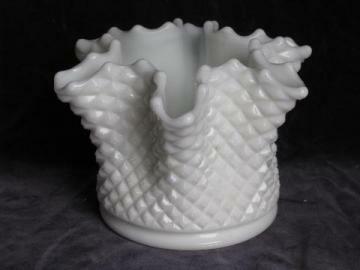 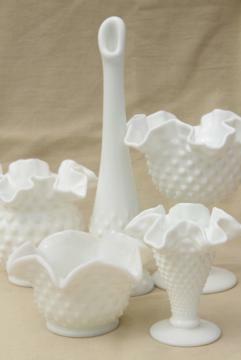 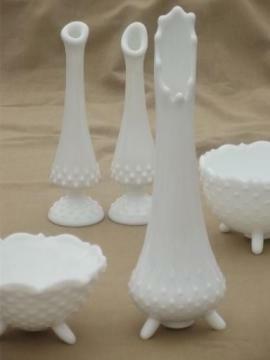 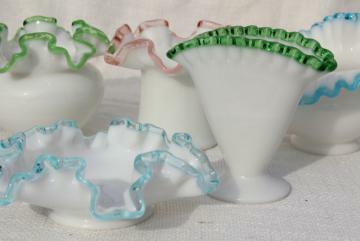 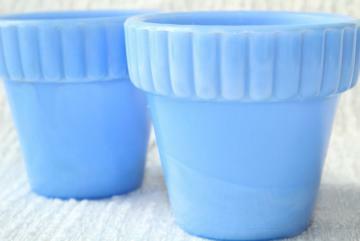 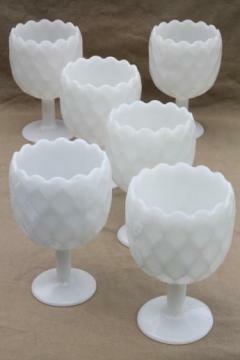 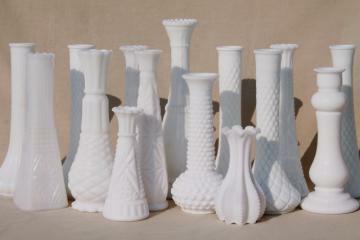 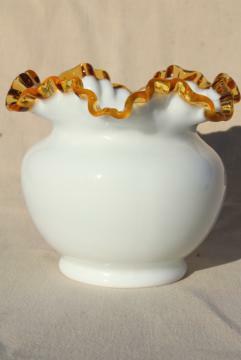 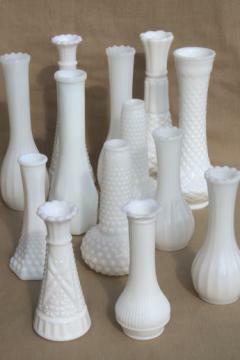 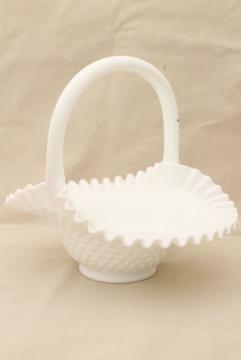 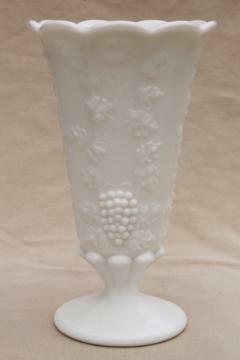 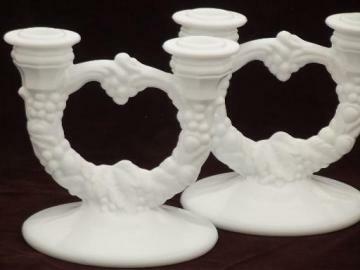 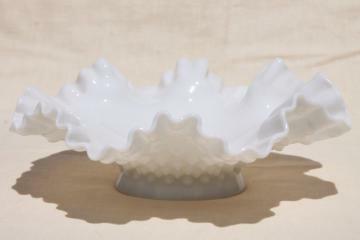 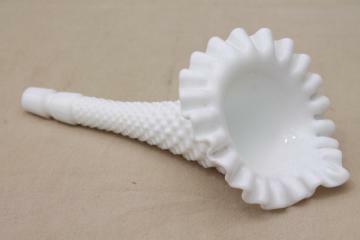 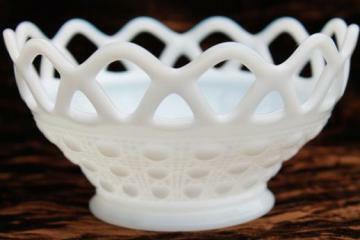 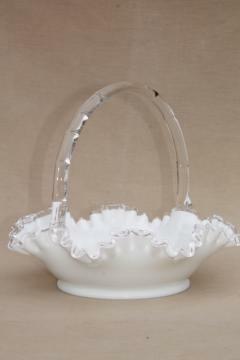 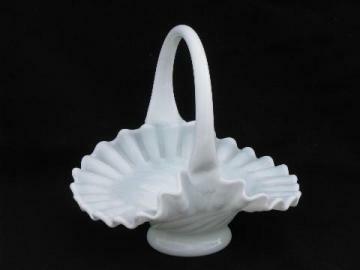 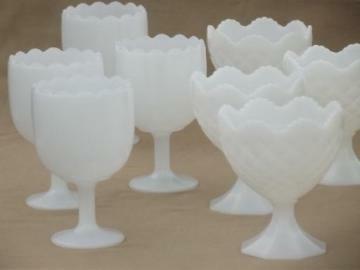 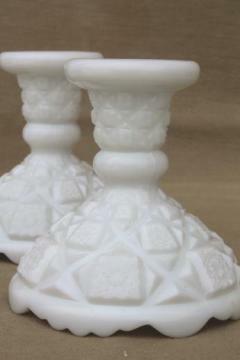 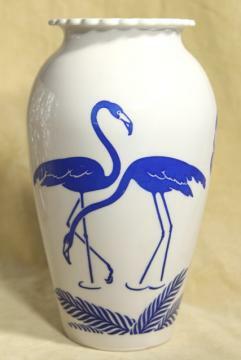 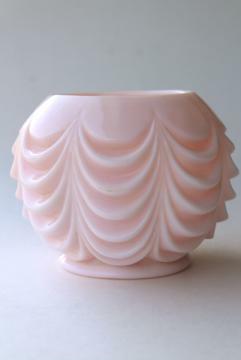 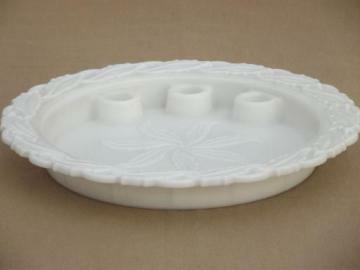 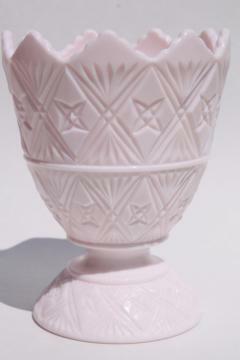 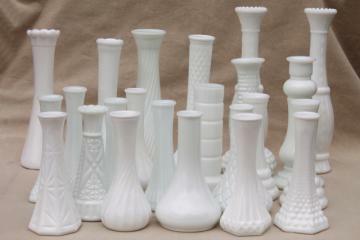 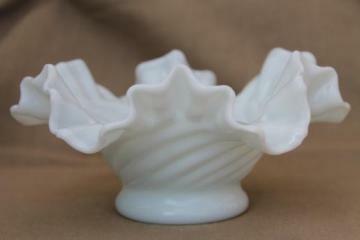 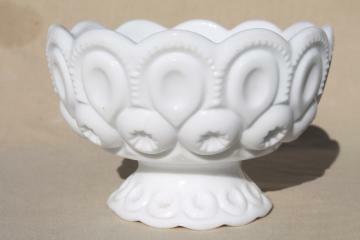 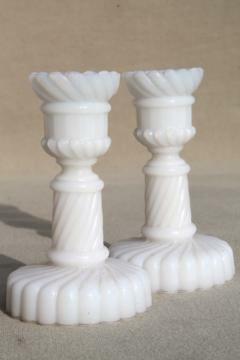 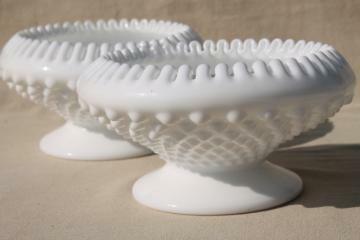 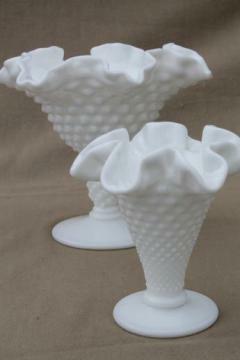 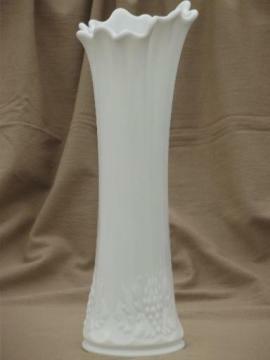 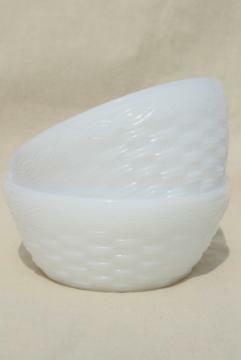 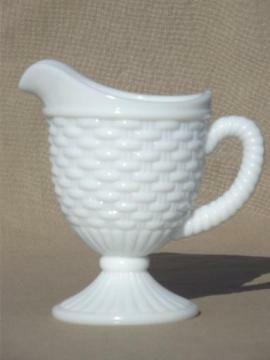 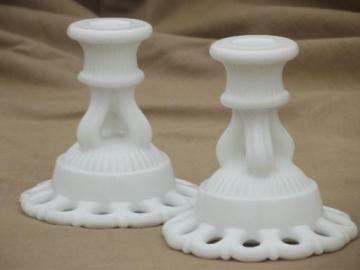 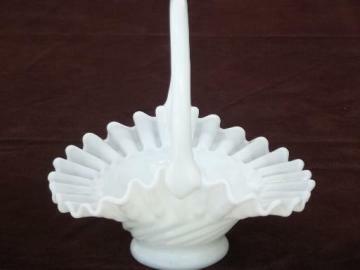 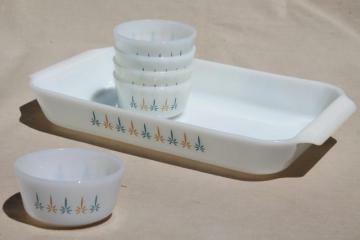 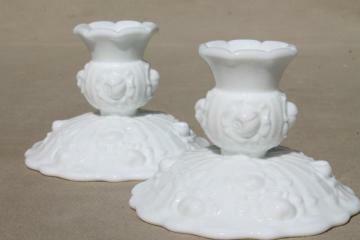 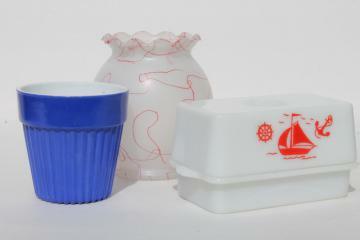 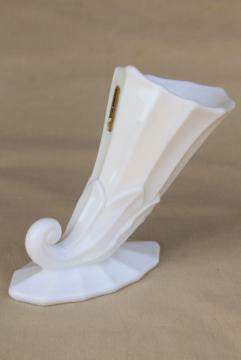 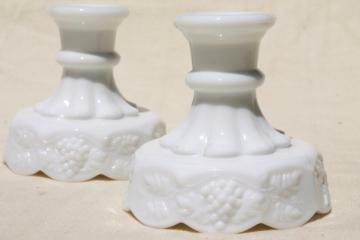 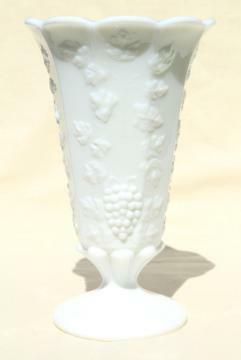 vintage milk glass pineapple vase or match holder, Imperial pineapple?